Options: Renew Subscription - 6 Mos. Renew Subscription - 12 Mos. Choose to renew one User ID and Password for six or 12 months. Six-month subscription - $19.95 / 12-month subscription - $29.95. 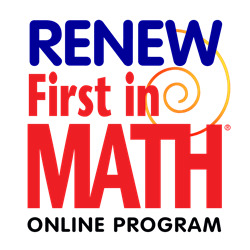 RENEWAL will allow you to keep the same FIM User ID and password you have been using, as well as all stickers accrued! PLEASE NOTE: IF YOUR USER ID WAS PROVIDED BY A SCHOOL, THOSE USER IDs ARE NON-RENEWABLE. IN ORDER TO RENEW YOUR SUBSCRIPTION, THE USER ID MUST BEGIN WITH THE WORD "PLAY".